Thank you to Koinonia Community for this recipe designed just for our slidey tins! Hey Anne-Marie! I love the chocolate lip gloss. Here you go…a recipe for a small (test) batch. Thanks for sharing! I’ll have photos and a report from the Portland Soaper’s Unite luncheon up tomorrow. Previous Post: The Search Continues …. Next Post: Portland Soapers Unite! How would Olive Oil Pomace do with this recipe? I seem to have A LOT of that around. Hi Sarah! You could you Olive Oil as an alternative to the Apricot Kernel Oil in this recipe. Just make sure you do the spoon test to make sure it is the consistency you are looking for. To do the spoon test, stick a regular kitchen spoon in the freezer prior to melting your oils, butters and waxes. When you ingredients have been fully melted, grab your spoon out of the freezer and dip into the melted mixture. Because the spoon has been frozen, it will immediately harden up and become the texture and consistency that it would when your recipe is done. Could I use sweet almond oil for the apricot kernal oil and omit the vanilla? Having a hard time finding the vaniila EO too. Yes, any liquid oil will work in the recipe. If you omit the Vanilla EO you’ll end up with an unscented lip balm. Hi, thanks so much for sharing this great recipe. does anyone know the shelf life of this recipe? and can I use baking chocolate bar instead of choc chips? sorry for asking much but I’m a just a newbie in this lipbalm-making thingy. I’m glad you like the recipe and hope you give it a try. The balm will last as long as the shortest shelf life of your ingredients. In this case it will last about a year. Yes, baking chocolate should work just the same. the wax amounts are they when solid or when melted? i am having trouble finding vanilla EO , i did find some alcohol free extract. would that work? if not , can you recommend what would. thank you – i am excited to make this!! Thank You Anne-Marie… you are the best! You could; it might be a bit too hard since the chocolate ends up softening and being somewhat spreadable. So keep that in mind and add a little more liquid oil if you need to make it softer. Can i replace chocolate chips with chocolate powder? The T stands for a tablespoon. Sometimes it is written as tbsp. Sorry for the confusion! what does the T stand for in this recipe ? Janine- Yes, the Jojoba Oil will work great. Just as long as it's a liquid oil with generally the same consistency. HI, I am wondering if you can replace the apricot kernal oil with jojoba oil instead? Are oils essentially the same in that you can exchange one oil in a recipe for another oil? If they are the brown chocolate with just a mint extract in it, they’ll be fine. If they’re white chocolate with green food coloring and flavor, that’s not as ideal for this recipe. I think that kind will not mix in properly. Just a question, but would mint chocolate chips work just as well? Because I have a lot of those. That’s funny because chocolate chips never seem to last more than a week in my cupboard…LOL! But, seriously, that’s good to know because it sounds like a most delish balm. I don’t know for certain but I suspect that since Chocolate Chips last indefinitely in your cupboard that they shouldn’t hurt the life of the lip balm. Do chocolate chips, since it’s a food item (and as we all know, chocolate is one of the four major food group…LOL! 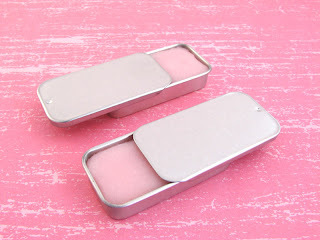 ), make this lip balm more perishable at all?